Exceeds expectations. The most comfortable sweater I've ever had. It is not bulky and is beautifully styled. Makes me feel glamorous. Love this sweater from Marla. The only issue is I would like the black and string color! Please bring it back Marla!! this is very pretty, fits true to size, is soft, and works well with other Marla Wynne items, especially the topper in the same color way. 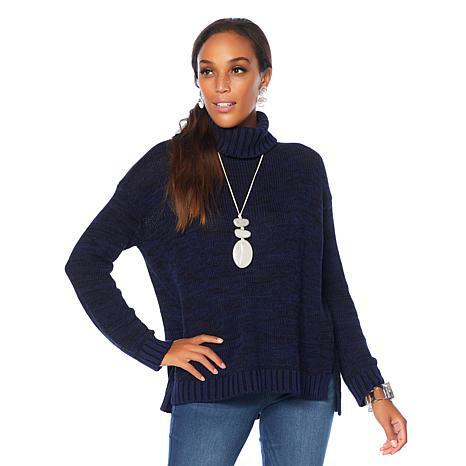 Looks great with leggings and also with jeans. Too warm to wear it yet, but I like a sweater on the plane even if it does not get that cold here in Florida for more than a couple months a year. Beautiful! 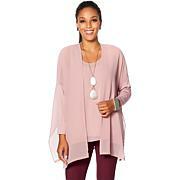 Love this sweater it is roomy, warm and light weight.